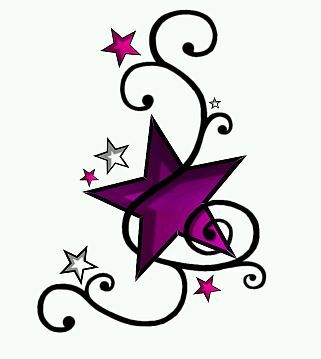 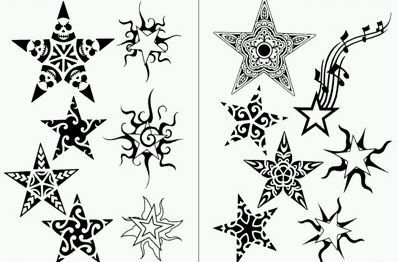 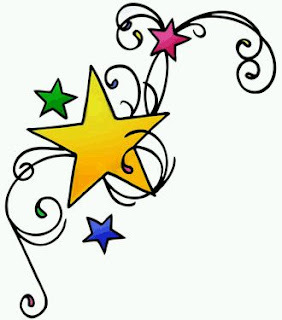 There are many designs for tattoos with stars, below you can find an interesting selection of photographs and drawings, I hope you enjoy them. 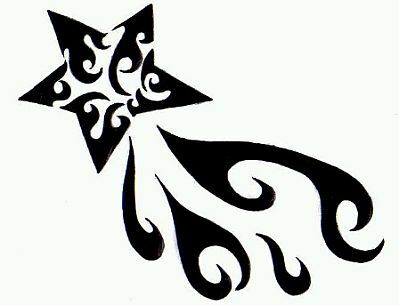 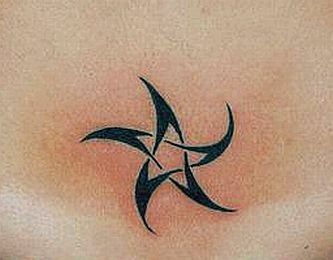 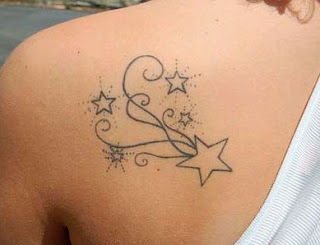 Tattoo of a star with fire. 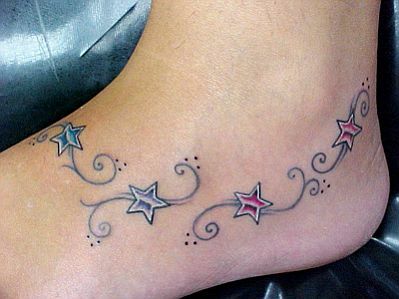 Tattoo of a star with wavy tales. 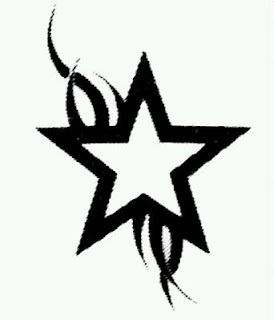 Drawings of stars for tattoos. 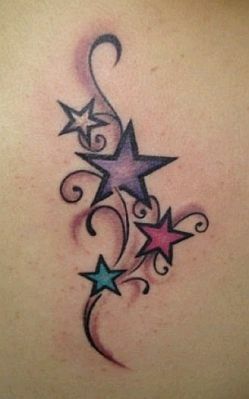 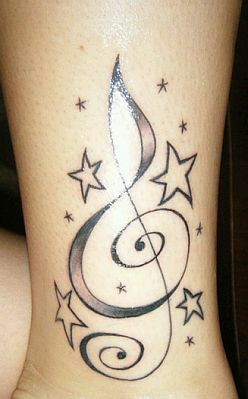 Tattoo of stars with a big musical note.